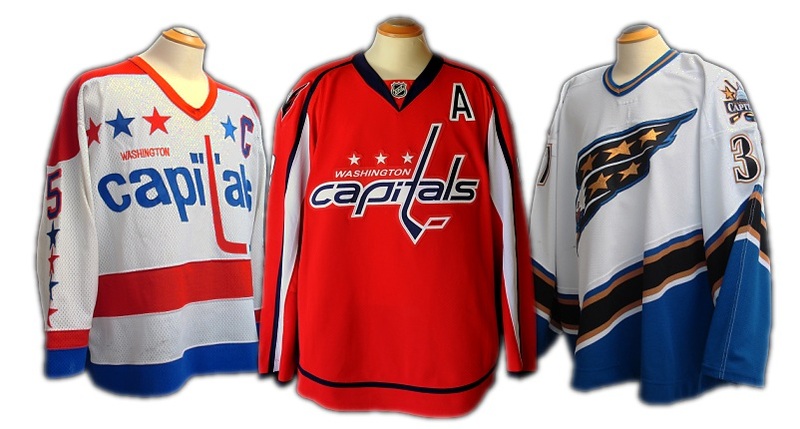 The information contained within this site may not be 100% accurate for all Washington Capitals jerseys. Circumstances sometimes require the team to use a jersey that is not 100% identical to the rest. I have posted what I have found to have been used for the majority of jerseys for each year. This site is not affiliated with the National Hockey League or the Washington Capitals. All jersey drawings have been reproduced with permission from NHLUniforms.com - The unofficial NHL Uniform Database.